Throughout Boxing history there have always been fighters that have come to define a certain time period and have become the face of the sport. Whether it was Sugar Ray Robinson one of the sport’s biggest stars in the 1950’s, Muhammad Ali who became the face of the sport during the 1960’s and 1970’s, on through to Sugar Ray Leonard who was a focal point in the 1980’s and Oscar De La Hoya in the 1990’s and early 2000’s, Boxing has always had a central figure or two that defined an era. In the last several years an argument should be made that a fighter that has come to define the current era of the sport of Boxing is Floyd Mayweather. Mayweather has emerged as one of Boxing’s legitimate superstars defeating a who’s who of the sport including Arturo Gatti, Oscar De La Hoya, Ricky Hatton, Zab Judah, and Miguel Cotto just to name a few. This has solidified Mayweather as the sport’s top pay-per-view draw, rivaled only by fellow superstar Manny Pacquiao. There may be a difference of opinion in regard to whether or not Mayweather’s legacy might be somewhat diminished due to a potential mega fight with Pacquiao not being made. This observer has said over the years that it was my opinion that a fight between the two should happen as both were considered to be the best pound for pound fighters in their era. For a long time if one were to consider Floyd Mayweather the number one pound for pound fighter in the world, it was hard not to say that Manny Pacquiao would be considered 1-A or, vice versa. This has changed somewhat due to Manny Pacquiao losing his last two fights. A controversial decision loss to Timothy Bradley in June of last year followed by a devastating one punch knockout loss in his fourth fight with Juan Manuel Marquez last December. Although many observers, this one included feel that Pacquiao was the victim of injustice in his decision loss to Tim Bradley, based on his loss to Marquez and the devastating manner in which that loss occurred; Manny Pacquiao one might argue has been knocked down a few rungs in most pound for pound ratings. It is hard not to argue based on Manny Pacquiao’s setbacks that Floyd Mayweather is the undisputed number one fighter pound for pound in the world. Mayweather’s style which puts an emphasis on defense and lateral movement has continued to befuddle all opponents placed before him. What makes Mayweather’s elusiveness so frustrating is his ability to time his opponents with near surgical precision. The ability to block the majority of an opponent’s offense with his trademark shoulder roll defense and fire fast and accurate counter punches. Although Mayweather’s style may not always be crowd pleasing, for Boxing purists it is enjoyable to watch. Boxing after all is a sport where the objective is to hit and not be hit and for someone who can put all the facets of what makes a boxer great. Great defense and lateral movement, precision timing, and hand speed, working in near perfect synchronization is a pleasure to watch. Mayweather however has been tested at various stages of his career. One of the most notable tests was when Mayweather defeated Jose Luis Castillo in 2002 for the WBC World Lightweight championship. In that fight although Mayweather controlled the early rounds, Castillo was able to make up ground in the middle rounds due to his ability to land to the body and head of Mayweather. The fight was very close with a wide difference of opinion among fans and experts alike as to who won the bout. In my opinion, I felt that although the fight was close that perhaps Castillo’s effective aggression in the middle rounds was enough to defeat Mayweather by a narrow margin. It was however, a very close fight that could have gone either way. Mayweather would silence all doubt as to who won that fight by convincingly beating Castillo in a rematch later that year. In 2007, Mayweather took part in what would become the richest fight in Boxing history when he defeated Oscar De La Hoya in a closely fought tactical battle that also had a difference of opinion among fans and experts alike as to who won the fight. Unfortunately for Boxing fans, there would be no rematch between the two legends as Mayweather would briefly retire in 2008 followed by De La Hoya who retired in 2009. Mayweather’s dominance in the sport resumed when he returned to the ring in 2009 scoring a dominant twelve round unanimous decision over Juan Manuel Marquez. Following a convincing unanimous decision over Shane Mosley, and a knockout win over Victor Ortiz, Mayweather would fight Miguel Cotto in May of last year. Much like his fight with Oscar De La Hoya, Mayweather’s fight against Cotto was a tactical battle in which both fighters had their say. Mayweather generally got off first with his punches and was able to win rounds that were very close simply by getting off first. Cotto’s defense however, was very solid as he was able to block a lot of Mayweather’s punches. Cotto also had a significant period in the middle rounds where he was the more effective of the two fighters, periodically landing his jab and pushing Mayweather back to the ropes and landing shots to the body. Cotto however, was not able to maintain the momentum he had built in the middle rounds of the fight allowing Mayweather to make the necessary adjustments to win the late rounds and secure victory. An argument could and perhaps should be made that out of Mayweather’s forty-four professional fights that the most competitive of those fights where Mayweather was in danger of losing at some point came against Castillo, De La Hoya, and Cotto. One thing that was noticeable upon his return in 2009 was that Mayweather was starting to get hit a little more than he was hit earlier in his career. This can be attributed to Mayweather being more willing to engage with his opponents. Mayweather however, showed earlier this year in his last fight against Robert Guerrero in defending his WBC World Welterweight championship that the lateral movement and great defense complemented with precision timing and hand speed were all there and that his skills had not diminished simply because fighters have found ways to land more on Mayweather in recent fights. After what was a dominating performance in his fight with Guerrero, talk almost immediately began about a potential fight between Mayweather and undefeated fellow Jr. Middleweight champion Saul Alvarez, holder of the WBC title. A fight that would be signed a short time following Mayweather’s win over Guerrero. Alvarez is thirteen years Mayweather’s junior however, has only had two less fights than Mayweather since beginning his career in 2005. Alvarez fights in a measured tactical Boxing style that has proven to be quite entertaining to watch. A valid point going into this fight could be that despite Alvarez’ impressive record of 42-0-1, with 30 knockouts, despite wins over former world champions Carlos Baldomir and Shane Mosley, the argument of some could be that Alvarez fought both fighters at declining stages of their respective careers. Alvarez however, has consistently looked impressive no matter the opposition and an argument could also be made that realistically a fight with Floyd Mayweather is the best fight out there for him at this stage of his career. In his last bout, Alvarez defeated previously unbeaten Jr. Middleweight Austin Trout who held interim/regular status in the WBA’s Jr. Middleweight ratings. What makes that noteworthy is that Floyd Mayweather is recognized as champion or, “Super” champion by the WBA per Mayweather’s victory over former champion Miguel Cotto last year. The political landscape of the sport’s governing bodies notwithstanding; the Mayweather-Alvarez fight is really a win/win for all involved, the fighters, the promoters, but most importantly of all Boxing fans. For Floyd Mayweather this fight is another opportunity to prove that he is the best pound for pound fighter in the sport by defeating Boxing’s newest superstar. For Saul Alvarez, this fight is an opportunity to prove to any skeptics that he is an elite level fighter and should he be able to pull off what no other fighter has been able to against Floyd Mayweather, his place among the sport’s pound for pound ratings will be assured. Besides the classic scenario of youth versus experience that this fight presents, it also presents an interesting style match up. It will be interesting to see whether or not Floyd Mayweather will fight in a similar way as he did against Robert Guerrero where he used great lateral movement, defense, timing, elusiveness, and hand speed which allowed him to consistently beat Guerrero to the punch and make Guerrero miss his punches for the majority of twelve rounds or, if Mayweather will be willing to engage with Alvarez as he did against Miguel Cotto. For Alvarez the key in my eyes is whether he can bring the fight to Mayweather from the outset. Fighters like José Luis Castillo, Oscar De La Hoya, and Miguel Cotto all were able to have periods of success against Mayweather. One might argue that each made tactical errors in their bouts with Mayweather which allowed Mayweather to make the necessary adjustments in order to win. In thinking about how Alvarez can be successful in this fight I thought back to Mayweather’s fight with Miguel Cotto and how Cotto was able to find a home for his jab periodically on Mayweather’s face and had success pushing Mayweather back and throwing to his body. In the eighth round of that fight, Cotto was practically glued to Mayweather landing hard body shots and did not let Mayweather get off first or give him room to breathe. It was the best round of the fight for Cotto in my opinion. The mistake Cotto made however, was after the eighth round he was not able to press Mayweather in the same way that he was able to in the middle rounds and was unable to capitalize on the momentum he was able to build. Cotto was also not consistent in throwing his jab enough throughout the fight, despite the success that he was able to have when he did throw his jab. This allowed Mayweather to regain control of the fight and win a unanimous decision. It is critical in the view of this observer that Alvarez put pressure on Mayweather from the outset. Alvarez needs to be consistent in throwing his jab and needs to consistently push Mayweather back. Alvarez has also shown that he can be a devastating body puncher as he was in his fight with Josesito Lopez. If Alvarez can successfully cut the ring off, nullify Mayweather’s movement, and land more than occasionally to Mayweather’s body he could be successful in this fight. If Alvarez has trouble neutralizing Mayweather’s lateral movement however, it could be a difficult night for him as it has been for so many previous Mayweather opponents. The bout between Floyd Mayweather and Saul Alvarez is likely to break all pay-per-view records in existence due in large part to both fighters’ star power. What should not be overlooked however, for a fighter in Floyd Mayweather who has periodically been accused of picking “Hand picked” opponents that the choice to face Saul Alvarez was a dangerous option. An option that some might say he did not have to take. As the best fighter pound for pound in the world however, a fight like this was necessary for someone of Mayweather’s status. Regardless of what one’s opinion of Floyd Mayweather, he has had a Hall of Fame career and has faced the cream of the crop of his era. Regardless of what happens against Saul Alvarez, this fight is another chapter in that Hall of Fame career. 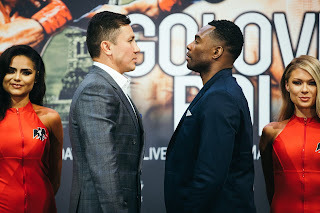 It is my hope however, as the Boxing world prepares for another “Super Fight” that the sport of Boxing will at least for one night be spared from any controversy or would be black eyes that all too often plague the sport. It is my hope that the spotlight will shine on these two fighters and regardless of who emerges victorious that the ultimate winners will be the Boxing fans and the sport of Boxing.